A weekend long Artwalk that includes established galleries alongside “pop-up” shops that showcase the work of local artists, musicians, and performers. The event features live theatre, music, demos, and opportunities for the public to make art at the event. All of this occurs inside the pop-up spaces as well as on the streets of downtown with the goal of turning the entire of downtown into an art gallery/space. Our goal is to organize a downtown event that is fully inclusive and highlights local visual and performing arts. 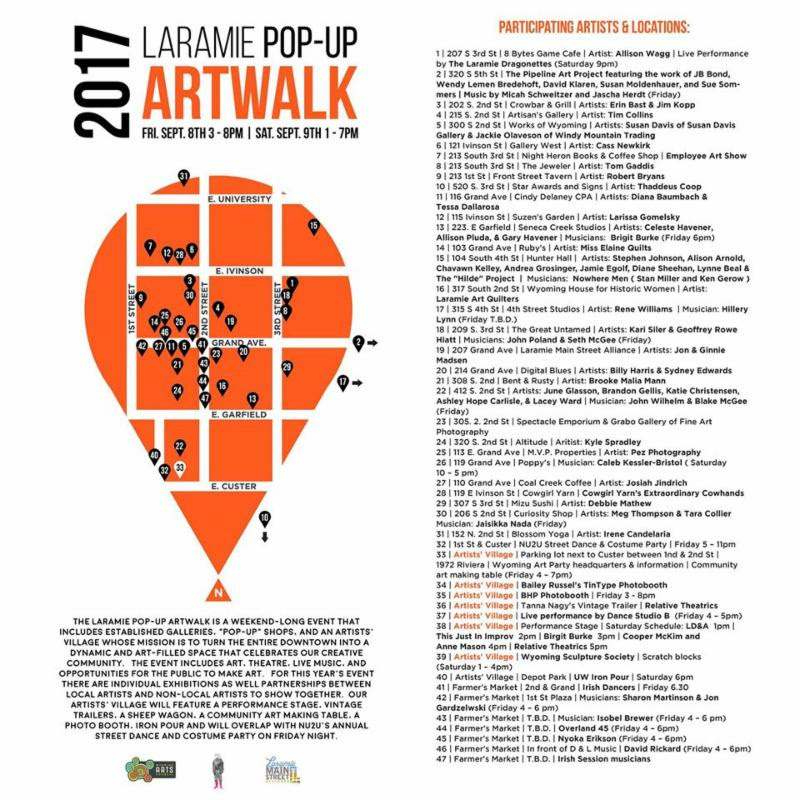 The event will showcase the work of local artists and will help to further promote the idea of Laramie as the cultural capital of Wyoming. This year’s Art-walk features local artists, musicians, performers, a few non-local guest artists partnering with local artists, as well as an Artists’ Village with a performance stage, vintage trailers, a sheep wagon, a community art making table, a photo booth, and overlaps with NU2U’s annual street dance on Friday night, located next to the Artist Village. Red Cross Needs Volunteers to Install Smoke Alarms in Laramie. Laramie Main Street Raised Over $12,000!